Thanks to the capable staff and latest equipment, we enable ourselves to bring about the enchanting quality in the form of Bio Toilet. We, as a Manufacturer and Supplier, deliver flawless quality to our customers. Approved by water and sanitation ministry, it is our single pass design. Its compact and robust design makes it perfectly suitable for Indian environment. Customers can contact us to avail highly competitive prices. More About Bio Toilet : We are manufacturer of one of Most Economical bio toilet specially designed for 4-6 Users especially suitable for Indian environment. 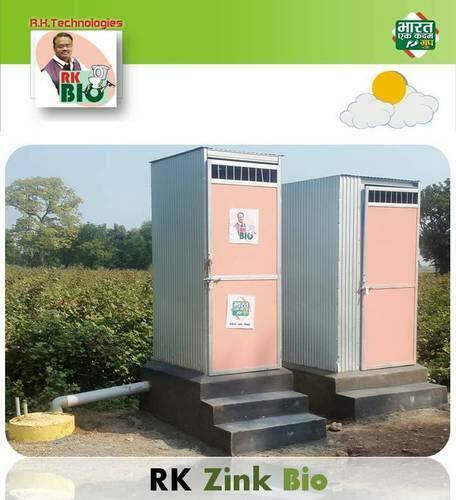 Our Most economical single pass Design Bio Toilet is approved Govt. of India water and sanitation ministry as Innovative Bio Toilet. Which is having following unique advantages.